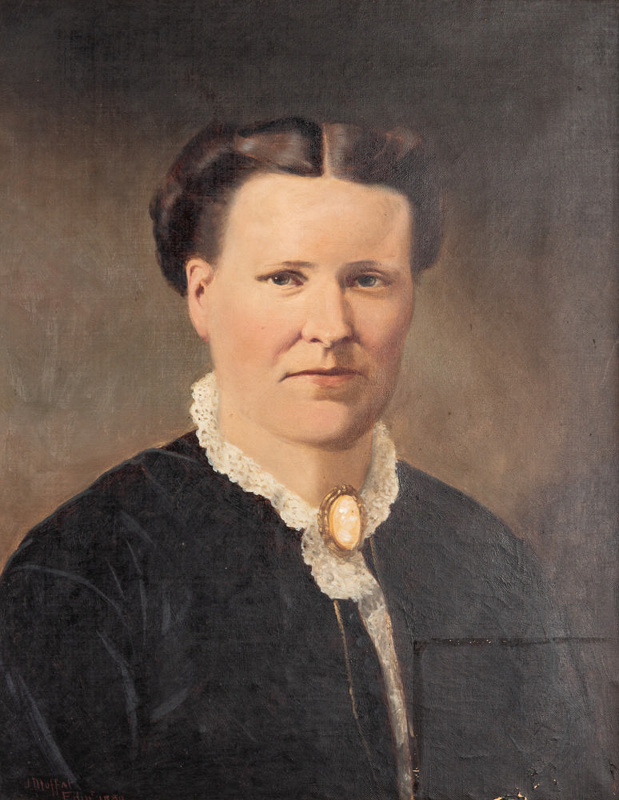 A portrait of Janet McNab painted in 1880. 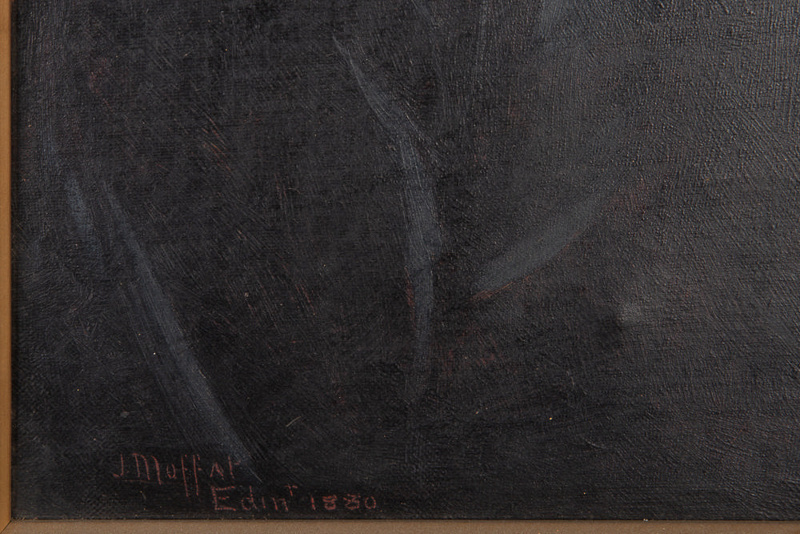 Based on the signature, the artist is J. Moffat of Edinburgh, we don't know anything else about the creation of the work. 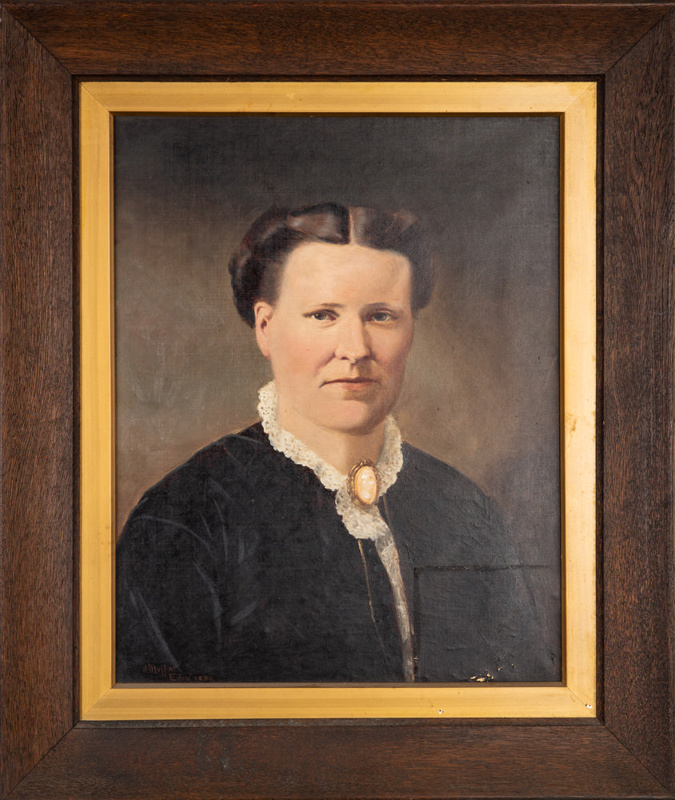 Its significance is that Janet McNab married Alexander McNab who was one of the first pastoralists in Eastern Southland after taking up the Knapdale Run in the Mataura River Valley in 1855. This is one of three 'McNab' portraits in our collection. The other two are of Alexander McNab and his sister Catherine. All three are online. Janet McNab had nine children, of which, only three survived to adulthood. The six deceased children, who all died in 1871, ranged between the ages of 4 days and five years of age. Alex McNab, later recounted the events of his children’s death as such; “During 1870 and 1871 an outbreak of something like dysentery occurred, and a number of children in various parts of Southland died. Adults caught the trouble, but only children succumbed… In April, 1871, Rev. RC Morrison, of Waikaia, arrived at our home suffering from the trouble and had to receive some nursing attention. The Minister was amusing the children, and all that played with him sickened and died. The eldest was at a quieter age and not joining the others, survived. Things happened quickly. One child died on April 21, two on the 2nd, and one, a girl, on May 7, her second birthday… A later death of an infant four days’ old occurred on October 6 of the same year. All sorts of stories were current, the most generally believed one being that the children were poisoned by dip used for footrot. The Wellington authorities ordered the bodies to be exhumed. This was done and the organs sent to Wellington, where it was proved that the trouble was sort of dysentery.” (Records of the Gore and surrounding Districts’ Early Settlers Association). In our collection, we also have Janet's mourning brooch which is made from the hair of her deceased children. Janet died at the age of 38, in 1876.